After completing a degree in zoology, Andy spent ten years in the British Forces as a paratrooper, diver and bomb disposal officer, including serving with the Airborne Brigade, the Army’s Underwater Bomb Disposal Team and the Maritime Counter Terrorist Group. He was involved in operations in Iraq, Afghanistan, Bosnia, Kosovo, Northern Ireland and the Falklands. Andy started diving at the age of twelve and has been at it ever since; on operations in the Forces, on commercial vessels, over sunken cities, in caves, deep wrecks and across abundant reefs. 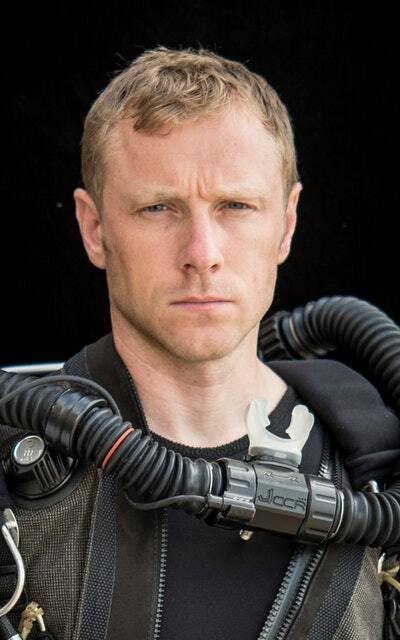 He has a long list of technical diving qualifications, including cave, mixed-gas, rebreather and freediving as well as his professional qualifications as a military and commercial diver and supervisor. Since growing up in the wilds of Scotland, Andy has always had a fascination with the natural world. Although his diving has exposed him to some amazing marine biology he maintains a varied interest in wildlife, specialising in the evolution and behavioural ecology of carnivores at university. 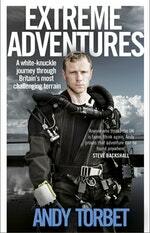 He’s also a highly qualified mountaineering and climbing instructor, caver, sea-kayaker, boat operator and extreme sportsman. Andy is also a regular television presenter, who first appeared on BBC Scotland. He recently co-presented Operation Iceberg on BBC1 and The People Remember on BBC2 in the UK and Discovery Channel internationally, as well as the tenth and final series of Coast. Be the first to find out about Andy Torbet.